Looks like Dell is jumping on the all-in-one bandwagon with the XPS One. 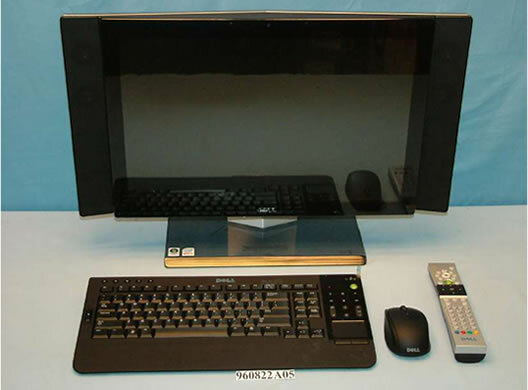 The new system, just leaked by the FCC, features a 22" display, an optional TV tuner and it looks like a wireless keyboard, wireless mouse and remote are included standard. Also, it looks there's a little trackpad right on the keyboard which is just perfect when is very handy when you're short on space or using the keyboard from your lap.